"When I want to find a ridiculous fact about myself, I look at Ask Katy. If I want to know what I ate for breakfast, I Ask Katy. If I want to have a good laugh, I read Ask Katy. 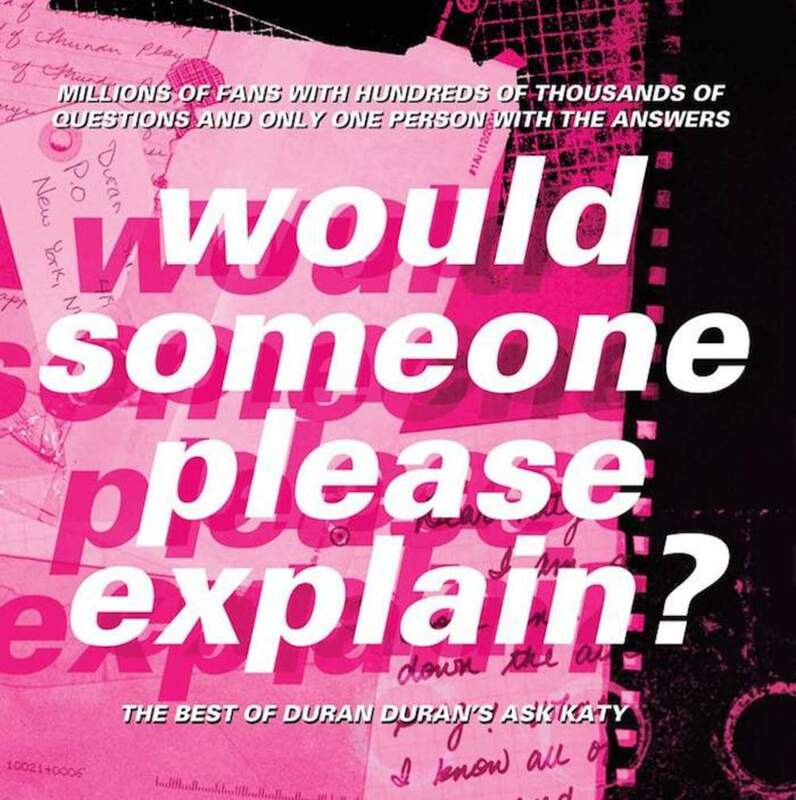 Ask Katy is the place to go for (occasionally) impolite answers to (sometimes) impertinent questions about Duran Duran. I may be biased, but it's a keeper." "If I ever forget anything about Duran Duran, I ask Katy. She is our oracle. Since we started the Ask Katy column a decade ago, we have received many thousands of questions - from weird, strange and wonderful to down right peculiar. I speak to Katy nearly every day, until we've emptied the In Box, and the fan's questions have truly given me an amazing insight, and a better understanding, of what Duran Duran means to them." "Ask Katy...it sounds like something from a 70's teenage girl’s magazine, the kind of thing my pubescent girl friends at school would be writing to, desperately trying to find out how they could possibly survive their first kiss without fainting or even choking to death. I suppose Ask Katy is a bit like that except the questions are more along the lines of "Please tell me, is the new album going to be ready before I die?" or trying to unravel mystifying things like "Why the hell does Roger wear headphones all the time," even "Why on earth does Roger have to have all those damn drums in front of him!?!?" Since I have been back with the band Katy has been dealing with 'the good, the bad and the ugly' on a daily basis and has been one the constants in an ever-fluctuating DD world. 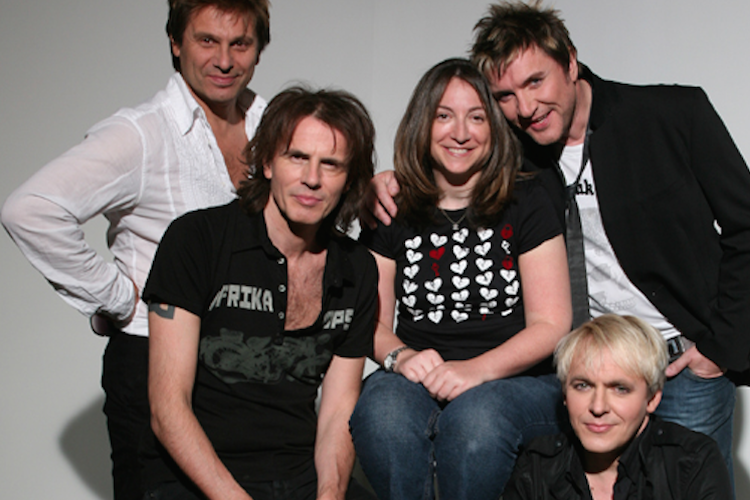 She is an "Agony Aunt" to hundreds of thousands of Duran Duran fans who need answers and need them now. It's a tough job, and we're lucky she's willing to do it." "Whenever I get a call from Ask Katy I swallow hard. Will the jig be up? What line of questioning will she be taking today? What evidence will she have unearthed from the dim or recent past? Katy is history's policewoman, Duran Duran's history that is. Sifting through the wreckage of our past, her mission is to separate out the truth from the fiction. Katy is the nurse with the bloody bandages, the priestly exorcist, working day and night to keep those English Cowboys of the Double D ranch's reputation from straight lining. She is the medicine queen."